POLYCAB, an ISO : 9001-2008 certified company is one of the largest manufacturer of wires and cables in India with a prove record of over three decades. The fastest growing company in the Indian Cable Industry with consistent growth. From a modest beginning with wires and cables, over three decades ago Polycab set up State of Art manufacturing facilities in Daman in 1996. In manufacturing of cables, a competitive edge lies not so much in the product innovation as in consistent quality and ready availability. The manufacturing setup is been sourced out from the world's Machinery & Technology suppliers with constant up gradations and expansions. Special PVC insulation prevents the leakage current on bunched wires especially significant in control panel applications. 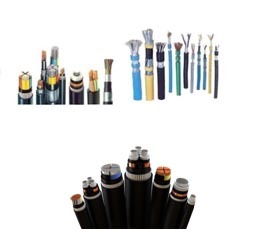 We are leading supplier & exporter of V - Guard Wires & Cables. Leveraging on our vast industry experience, we are offering a highly reliable array of V Guard Cable to our clients. Sourced from renowned vendors of the market, our offered cable are manufactured using only premium quality raw material and cutting-edge technology in sync with industry defined quality standards. 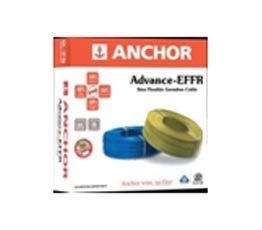 Offered cable are widely acclaimed in the market owing to their high tensile strength and other listed features. Apart from this, our prestigious clients can avail these cable from us in various specifications as per their application usage. We are leading supplier & exporter of KEI Wires & Cables. 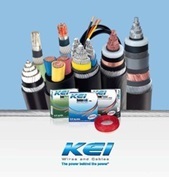 KEI Industries Limited, known for its unique product range across the world is one of the leading players in the wires and cables industry. KEI manufactures high and low tension cables (EHV, HT & LT), control and instrumentation cables, house wires and stainless steel wires. Its unique product range is known pan India and across the globe. KEI has also been awarded the ‘Superbrand’ status for the year 2010-2011 further strengthening the consumer’s trust. KEI industries has launched its new range of Flame retardant PVC insulated wires for domestic household applications -homecab. Especially designed for domestic house hold usage, Homecab a multi-strand flexible house wires with fire resistant properties are equipped with specially formulated insulation, with a high oxygen and temperature index, enables the cable to withstand overloads preventing electric mishaps. We are leading suppliers & exporters of Havell's Wires & Cables. Keeping in mind our customers’ specific requirements, our company presents them a variety of cables manufactured by Havells with the commitment of complete satisfaction. These are passed through stringent quality check procedure before the dispatch that helps in delivering scratch free and high quality product. .
We are leading suppliers & exporters of LAPP Wires & Cables. Keeping in mind our customers’ specific requirements, our company presents them a variety of cables manufactured by LAPP with the commitment of complete satisfaction. These are passed through stringent quality check procedure before the dispatch that helps in delivering scratch free and high quality product.